I picked Bat My Eyes and Howl You Doin' up from Sally's the other day (see my "haul" here). By far my favorite of the two formula wise was Bat My Eyes but we shall get into that later. 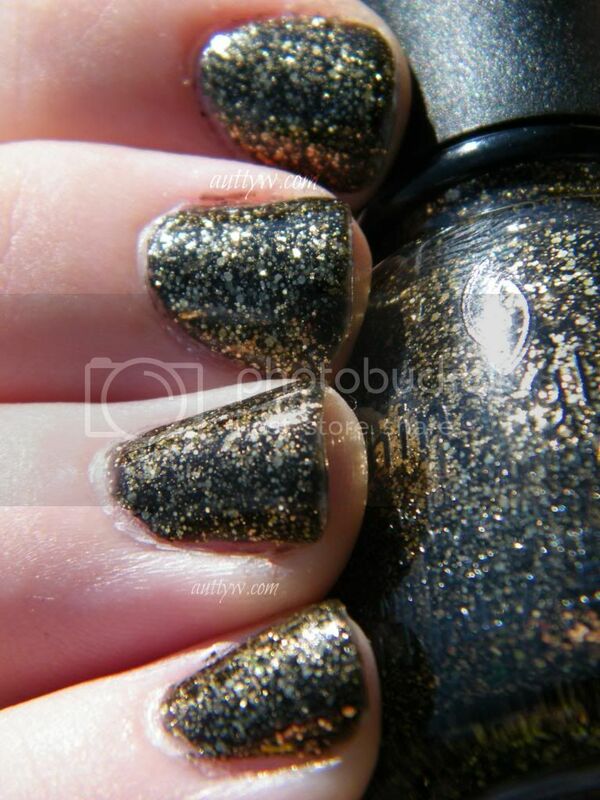 Bat My Eyes is a black jelly based polish that is packed with different sized greenish gold glitter. 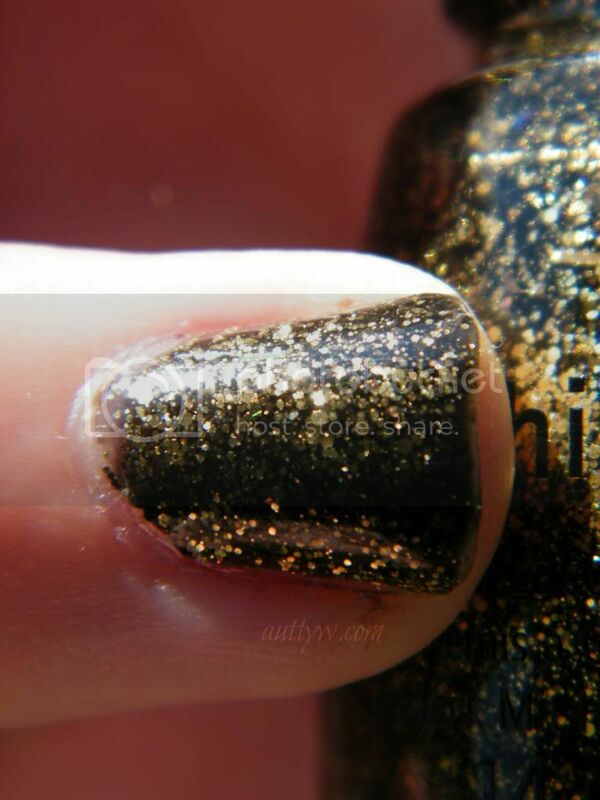 The formula on this polish is absolutely outstanding. Depending on how thick or thin you apply it, you could get away with 1-2 coats. I used 2 coats naturally. 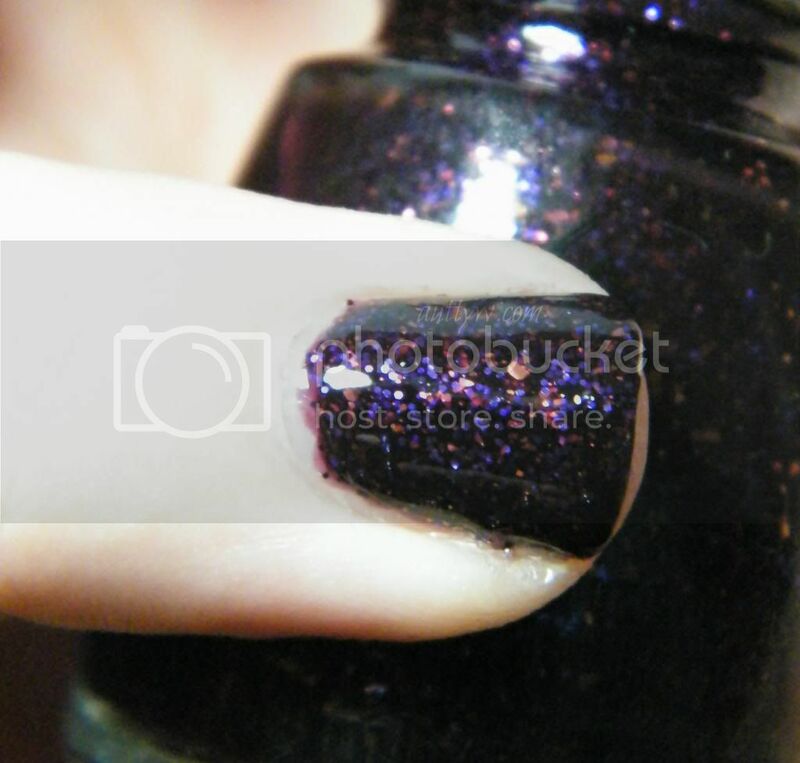 This polish applied like a dream, it didn't flood my cuticles or anything, nor was it a top coat eater. Thankfully. 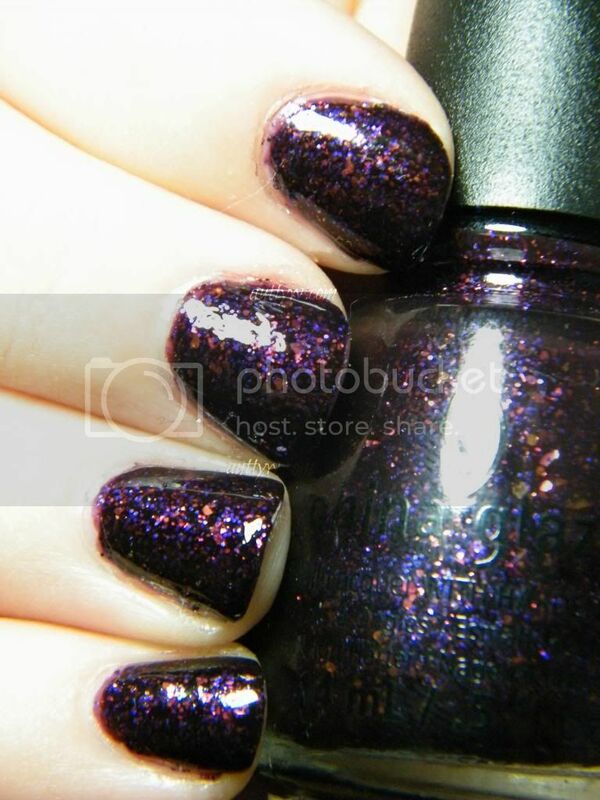 I've got a polish that is like this from the past 4 Halloween collections that China Glaze has put out. This is by far my favorite type of polish that they put out every year. Howl You Doin' is a deep purple crelly based polish that is absolutely packed with blue glitter and shards of coppery-orange glitter. This polish I am not impressed with at all. Even though it's gorgeous, it's the formula that kills it. I found this to be very thick and it didn't apply evenly at all. I needed between 2-3 coats depending on how I applied it. This also wound up being a top coat eater, don't ask me why it was. The finish of this is probably satin, it's not matte and it's not shiny. I'm thinking of thinning it would and it might work better. Did you get any polishes from this collection? What do you/did you think of them?! Bat My Eyes looks great!! I need to make it to Sally's to get some polish thinner to see if it helps. I'm apparently the only one who had problems with the formula of it. I really like that last purple shade!! It's GORGEOUS! But the formula is lacking.